There is a case to be made that the first two Godfather films form the Great American Movie of the second half of the twentieth century. Just as Citizen Kane sums up a half-century of cinema in its flurry of techniques and time-spanning story, so The Godfather and The Godfather Part II have one foot in the world of classical cinema, with their mixture of formal restraint and epic grandeur, and one foot in the cinema of New Hollywood, with their gritty textures, dark themes, and graphic content. Certainly there are few cinematic masterpieces that retain such an immediate foothold in contemporary public consciousness (at least among men): ask someone whose other favorite films are recent blockbusters or lowbrow comedies what they think of The Godfather, and you're likely to get a positive response. 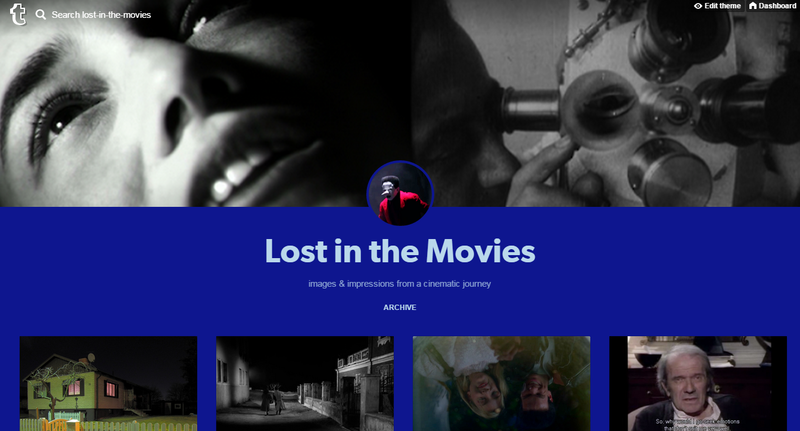 The movie resonates across generations and interest levels in cinema history, acclaimed among those who revere classic Hollywood or foreign films, and popular with the crowd that likes the latest action and horror films. Those looking for entertainment made the first film the biggest box office hit of all time, those seeking middlebrow acceptance and respectability voted it Best Picture at the Academy Awards, and those celebrating cinema purely as art routinely place it atop polls and lists of the greatest movies of all time. In some ways, mixing the two films in one piece is deceptive. While they are often taken together - the Sight & Sound poll combines them and Francis Ford Coppola once re-edited a chronological version stretching from 1901 to 1960 for television - these movies are actually quite different in their approach and style. The Godfather is the movie of a nervous young filmmaker, supremely talented yet under pressure from a studio and crew that didn't quite trust him. It is an adaptation of an entertaining but lurid pulp bestseller, and the public anticipated it the way they had anticipated Gone with the Wind and Love Story, or (later on) The Exorcist and Jaws. The Godfather Part II, on the other hand, feels the film of a self-assured master, even though Coppola is just two years older - a hitmaker, he now commands big-budget resources with confidence and the beginnings of a hubris which would raise him up and eventually bring him down. Part II sheds all associations with its pulp roots, aspiring more towards the complexity and grandeur of a European art film, bleak American drama, or even Greek tragedy than the effectiveness of a tightly-wound thriller (although, of course, it achieves both, as so many great movies do). Yet it makes sense to consider the two films together, different yet inextricably bound. Above all, they tell one story - the slow, desperate, barely poker-faced moral fall of a young American, son of Sicily yet a long way from home. The Godfather is, first and foremost, a great yarn. It's this quality that allows Coppola to linger over scenes, to create such a palpable texture and mood, to luxuriate in small moments with characters and shock us with unexpected moments of violence or carefully prepared climactic set pieces. The director knows that he can take his time with the details because the flow of Mario Puzo's story will carry us along. The adaptation grabs hold of the novel and gives it a good shake; all the salacious subplots and self-indulgent asides come tumbling out, and we start with what sticks. 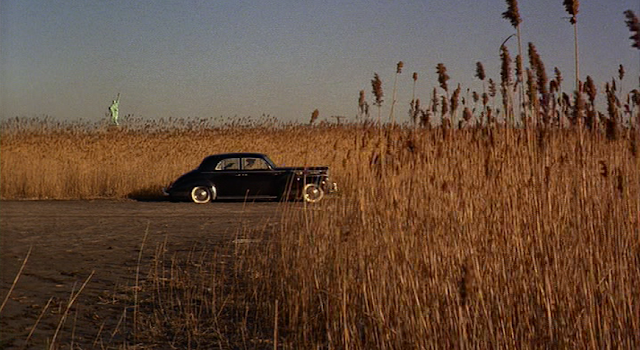 The film has a clear narrative trajectory - Michael Corleone's slow, sure entanglement in the family business - but, even cleansed of the novel's major digressions, there are plenty of captivating anecdotes, memorable moments, and stand-alone threads (Tom's visit to Hollywood, Paulie's execution, Michael's sojourn in Sicily, Connie's unhappy marriage). Coppola does not need to rush us along. He knows we will be sufficiently absorbed to take the journey at a reasonable pace. Half an hour passes before we see the Corleones' first crime (the killing of an animal; brutal, but still an animal), after forty-five the first murder is committed (by Sollozzo, not the Corleones) and we're about an hour in when the Corleones themselves finally kill someone (interestingly enough, the Don never orders anybody's execution). This slow boil (so subtle we don't even notice it, though it has its effect) allows us to warm up to the Mafia family, to see them as likable and admirable before we're confronted directly with their dark side, and it also gives Michael's decision to kill Sollozzo and McClusky additional weight. Not only is it his first murder, it is the culmination of an hour and half of slowly building violence. 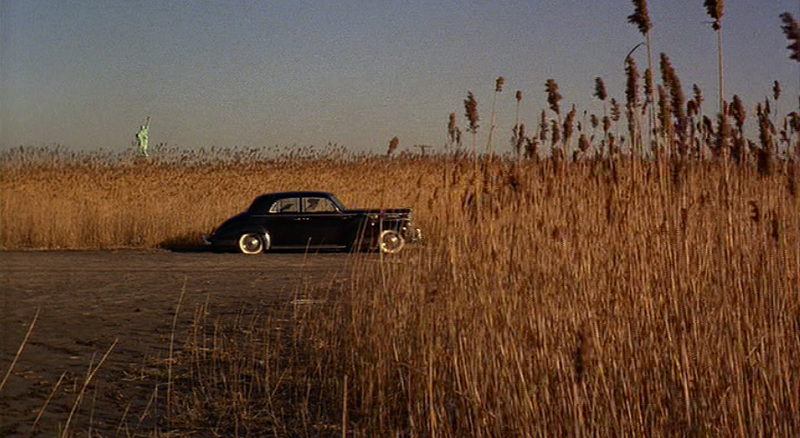 Even Paulie's death is shown in long shot and it's several degrees removed even from Sonny, who orders the killing - it's Clemenza who takes the hapless traitor for a drive, and it's a lowly button-man who pulls the trigger. Yet when Michael kills, we will witness the bloodshed up close, it will be unleashed by a character we are close to, and the build-up will be long and tense. 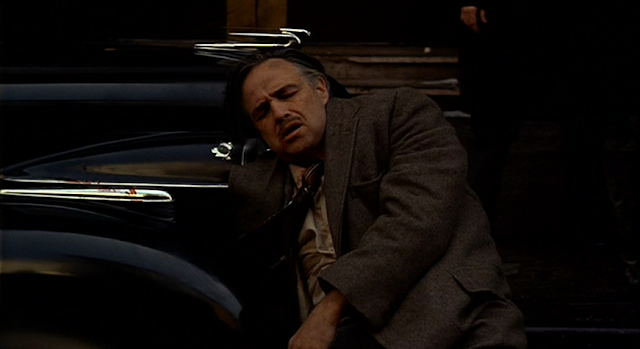 Because of the quality and vision infused into every scene, The Godfather seems extremely well-controlled, a polished picture, but this can be deceptive. Look closely and a more improvised, compromising element reveals itself - there is an episodic quality to the storytelling, with scenes sometimes appearing out of the blue and ending awkwardly (Kay's visit to the homestead just kind of fades out when the point of her lingering presence has been established). This is a reminder that the filmmakers were cramming a sprawling epic into less than three hours of screentime. Reading about the movie, one also discovers what a troubled shoot this was - Coppola and Pacino worried about being fired, the brilliant cinematographer Gordon Willis often quarreled with the director, and production headaches created a mood of perpetual panic and pressure. My favorite story occurred early in the shoot; while sitting on the toilet, Coppola heard a couple gruff, older crew members shuffle into the bathroom. They grumbled about the incompetent young director helming his first big movie and one of them told the other, "Don't worry, he'll be gone within a week." Did Coppola burst out into indignation and fire these two insubordinates, the way Mike Nichols did in a similar situation five years earlier on The Graduate? No, the timid director lifted his shoes off the ground, afraid that they would be seen and recognized beneath the stall door. 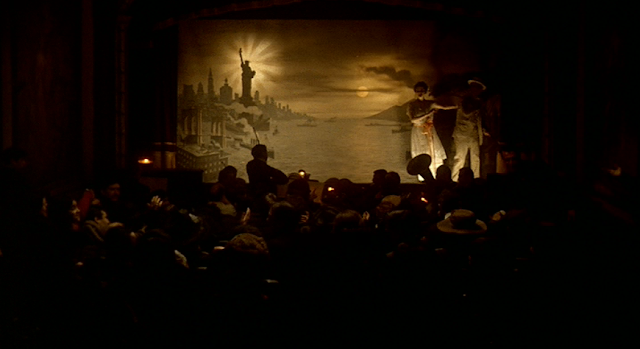 That timidity, already very well-masked in The Godfather, has completely vanished in Part II. Although Coppola still sticks to conventional coverage for most conversations (wise, as it allows the intense and subtle performances to play off of one another to maximum effect), his sense of pacing is more relaxed and elegiac, especially in the Italian scenes which open the movie. Indeed, when reflecting on how the film has a different, more grand and controlled feel than its predecessor, I often return to that first shot following the credits - in which we are treated to a vast Sicilian vista with a written introduction unfolding on the right side of the screen while a barely perceptible funeral procession snakes across the left, and the insects and birds chirp incessantly on the soundtrack. Even the credits themselves establish this film's more intense, less conventional tone, focusing on and slowing down the shots that ended the previous movie. Meanwhile Willis' dramatic photography of The Godfather becomes even more adventurous this time, imbuing the nostalgic Little Italy sequences with a warm glow, and daring to underexpose the foreground during Michael's dismissal of Fredo so that the two brothers are shadows before an ominously luminous lake out the window. If The Godfather is a film of unities, tying its many asides and anecdotes into one narrative hook, than The Godfather Part II is another film entirely, composed of leaps and digressions and abrupt shifts. Most obvious in the juxtaposition of two stories (father and son, past and present, rise and fall) this shifting quality can also be found within the two storylines themselves, between Vito's emigration to a strange new land and Michael's discovery of a strange new world, its alien nature spiritual rather than physical. If The Godfather is all about Michael's uneasy descent into the familiar, into a world he's known since childhood but tried to avoid, then Part II gives him the opposite dilemma: having accepted his place in the family, Michael discovers it no longer wants him. In this sense, the killing of Fredo is almost an afterthought, horrible as it is - for Michael, the real death came in that moment when he found out for certain that Fredo had betrayed him. The look of shock and pain that rolls over his face will never be repeated (because after it passes, only a shell remains), and upon returning to America, the news that his wife has suffered a miscarriage seems a symbolic sign that the life has passed out of his family and home. All of this is contrasted with Vito's rise in the New World, presented in starkly different terms from Michael's story (warm lighting vs. cold; playful, openly emotional music vs. a guarded, dark score; relatively straightforward stories and characters vs. byzantine plots and interactions). The shifts between Vito's and Michael's stories are extremely graceful (some of those dissolves are immaculate) but the relationship of the two parallel narratives remains ambiguous. 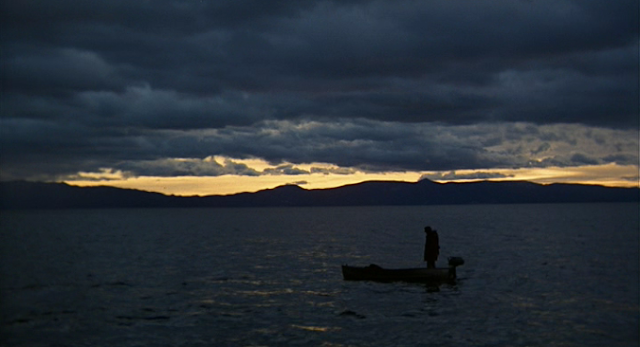 Roger Ebert, who was not a big fan of Part II initially, wrote that "we're left with the unsettling impression that Coppola thinks things would have turned out all right for Michael if he'd had the old man's touch." He's not the only one who feels this way, and indeed a certain lightness in the later Vito scenes (particularly the amusing but perhaps misguided episode in which the don, whom Ebert describes as "more like a precinct captain than a gangster," helps out an old widow) feeds into this simplistic reading. Yet I can't accept this. Maybe I just don't want to; after all, the gangster-with-a-heart-of-gold vs. his cold corporate son just seems like an awfully reductive imposition on such an emotionally overpowering, masterfully controlled film. 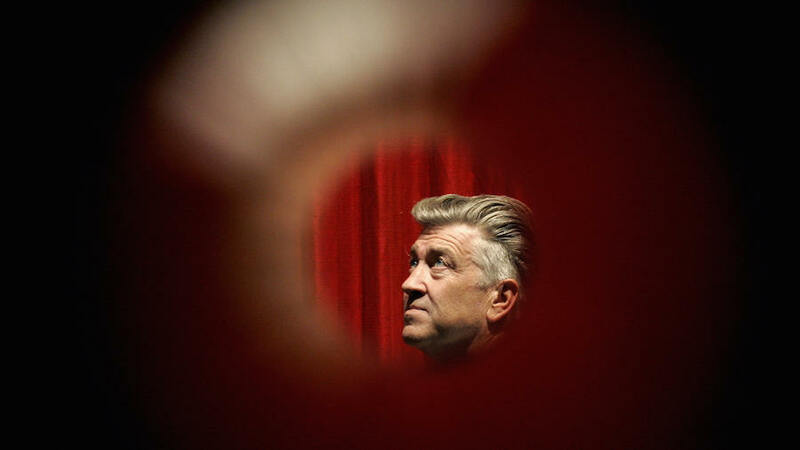 But I also think the way the two narratives interact, and some of the specific juxtapositions Coppola achieves (especially in the end when he is overlapping several different eras in the space of a minute or two), draws out a very different sensation. It seems to me that the cheerfulness, the nostalgia of Vito's story has an ironic quality, heightened by those abrupt cuts to the harsh glare of those congressional hearings or the wintry desolation of Michael's Nevada home. I wonder if it's a subtle continuity, rather than a contrast, which is being conveyed - as if Coppola and Puzo are showing the legend of the Mafia hero and then its reality. Michael is the displaced embodiment of his father's choices - he's like Vito without the mask, because clearly both father and son are cut from the same cloth: cold-blooded killers and ruthlessly intelligent manipulators. Perhaps, then, the contrast between their success and failure, due to a difference in charisma, is less a reflection on Michael's inferiority then an exposure of Vito's similarity. The relationship between Michael and Vito is the most compelling element in both movies, and the thread that draws them together, despite their differences. Quite often, their similarities are exposed through ironic differences. Take the conclusion of Part II: Michael is left alone at the table, while the rest of his family rushes off to wish his father happy birthday. Yet Vito is also alone in a sense - he's the only one we don't see (Brando was supposed to appear, but demanded too much money; his absence is fortuitous nonetheless). By not seeing them together through Part II, just as we do not see them together until the first Godfather is well underway, we somehow get an even stronger sense of their ties, like twins separated at birth. There's such a strong element of fate and destiny at work in these films - at no point does Vito direct Michael into the family; in The Godfather, he's out of commission when Michael takes his first steps into a life of crime (indeed, it's the very fact that he's out of commission that lead Michael in this direction). This inability to alter Michael's course only serves to highlight Vito's ultimate responsibility for his son's fate, as if he cast the die many years ago when he shot Fanucci and then walked home to his stoop, cooing, "Michael, your father loves you very much." Too late. Another element that receives subtle interplay within and between the two films is the relation between the Old World and the New. 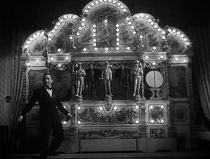 In both films, a certain cinematic approach and style of music relax and open up into full-fledged romanticism when the setting is Sicily; America is seen as the realm of caution, of cold rational business, a life of the ever-alert, slightly paranoid mind, whereas Sicily is the land of the heart, emotions, thunderbolts of romantic love and fantastic vendettas that can destroy one's entire family. The characters' American lives are an explicit reaction to their experiences in Sicily - both a longing for the comforts of that old land, and a determination never again to feel as vulnerable as they did there. The vulnerability is physical and social in Vito's case (a poor, seemingly simple boy whose entire family is rubbed out by a mafia don), which is why he's drawn to become a rich and powerful killer. For Michael, the vulnerability is emotional - after Apollonia's death, he can never quite open up to another human being again; his relationship with Kay and his own children is distant, and with Tom and Fredo it is a tangle of rivalry, contempt, and love. 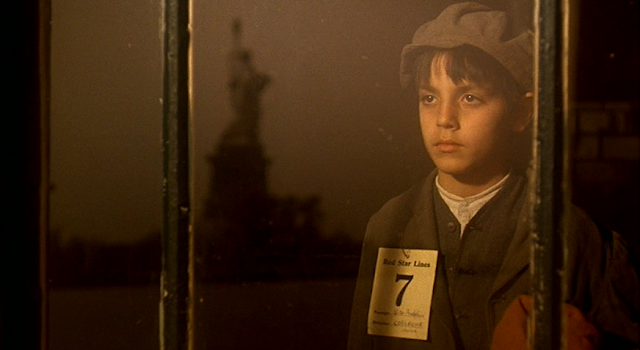 Vito, despite his tragic experiences, is able to internalize Sicily and carry it with him into the New World - singing softly to himself in Italian as he stares out at the Statue of Liberty. When he returns to Sicily as a rich young American, it is to exact revenge on the elderly man who killed his mother, and thus to purge the ghosts of the past. For Vito then, Sicily can remain a source of strength, a bedrock. What is it for Michael? How telling that when he kills for the first time, when he makes the decision that will inevitably lead him in his father's footsteps, he flees to Sicily. This is perhaps his chance to, if he's not going to be an all-American war hero, rediscover his father's roots. The death of his beautiful young bride destroys this possibility, and so for Michael "this Sicilian thing" will always be fraught with pain and resentment. He is alienated from his own roots in a way Vito never was - or if he was, in a way he was able to overcome. For Vito, America is the realm of action, the world of work he goes out into to earn his bread and prove his manhood, but Sicily is the home he returns to, the geographical manifestation of the value that family also provides. When The Godfather Part III chose to set its second half entirely in Sicily, Richard Corliss complained that Coppola was misinterpreting the soul of his movies: according to him these were fundamentally American dramas, and Part III should have focused on the changes in the urban and criminal landscape in the later twentieth century instead of flying off to Italy for an operatic denouement. But really the films are split, and their soul lies in the Old World. The Godfather films are extremely perceptive studies of how men (women really don't factor much here, despite the screenplay's valiant efforts to give Kay more credibility in Part II) must shield and guard themselves in social and professional interactions to survive in America, yet they are also deeply romantic tales of lonely souls in exile from their homeland, geographical and emotional. Although that final chapter is deeply flawed, and its interpretation of Michael distorts the character's trajectory, its conclusion packs a wallop and it's in large part because we've returned to that primal setting - that stinging, unprotected place of both beauty and pain, where human vulnerability is unmasked. Watching Godfather and Godfather Part II this time, I noticed how gradual Michael's decline is over the two films, and how it results from (well-concealed) sensitivity rather than insensitivity. There are sharp moments of decision to be sure - the key ones are his first murder, Appollonia's death, the discovery of Fredo's betrayal, and the revelation of Kay's abortion - but between them we see a slow slide and, most surprisingly, a struggle. It's an internalized struggle so we could easily miss it and conclude that Michael is a cold fish from start to finish (look at the Pearl Harbor flashback, for example), or that once he shoots the police captain, he's sold his soul and it's over. Yet in truth, he suffers with every decision he makes, every loss or betrayal he experiences. He is ultimately not very sympathetic - by the end he's alienated us along with all the other characters - but he is always understandable, and the ultimate victim of his evil is himself. In killing Fredo he is killing that last weak, sensitive, human part in him, the part that could still sting and wither when recognizing a brother's betrayal. He has nerves of steel but not the unquestioning mind to go with it - in this sense he is not his father's son. When we first meet him, at his sister's wedding, he tells Kay about his father and says, "That's my family, Kay, it isn't me." Unfortunately, he's right. 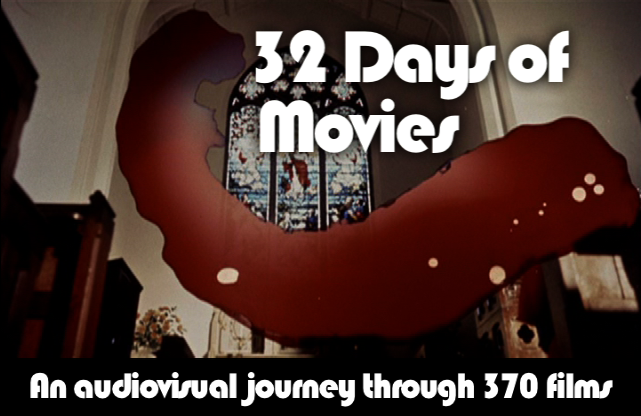 The Godfather appears at 6:30 in "Dispersed into the Seventies", and The Godfather Part II appears at the start of "Pray For Us Sinners", chapters in my video series "32 Days of Movies". I paid visual tribute to Michael Corleone's journey from child to Mafia don in The Corruption of Michael Corleone. The Godfather:Star Wars as The Godfather Part II:The Empire Strikes Back. Only one film can stand on it's own in my opinion, but it's the second in each case that have more depth, greater scope etc. Furthermore, in Part II, Pacino's performance outweights Brando's from the first. Brando has been parodied so much from that film that it's almost hard to watch without distractions when watching him. I really like The Godfather III, which is a minority opinion, I guess. I think it's necessary, however flawed it may be. I mean, the end of Part II is kind of calculated and cold, not at all the conclusion of a Shakespearean tragedy. If Michael Corleone's tragic flaw is that he loses his conscience, how tragic is it? What does a shark feel for his actions? Tragedy demands more. 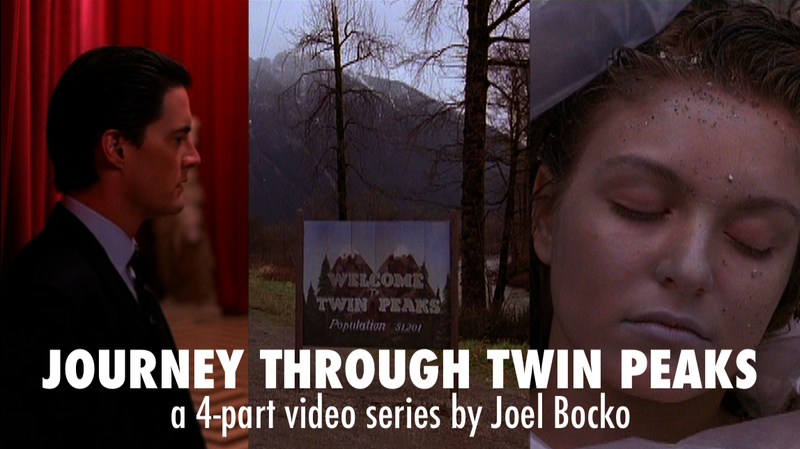 I generally rank Part II higher than Part I in my own mental canon. But both are up there. I find I have the opposite reaction to Brando's performance - it exists so completely on its own terms that I don't think of the actor at all while watching, just Don Vito. Vulnavia, I agree about the ending of Part III. 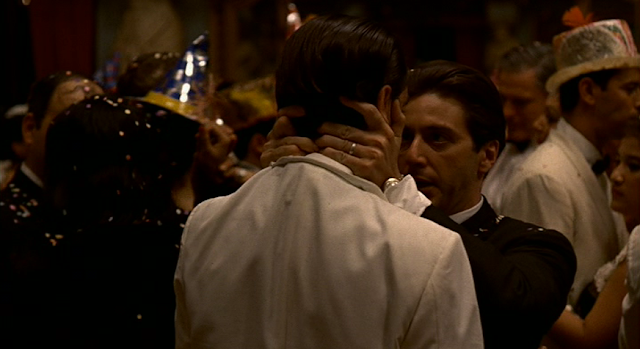 While it doesn't quite gel with the other two movies in a lot of ways, the conclusion packs a wallop (I'd say it's maybe the most powerful moment in all three films, except maybe when Michael embraces Fredo at the funeral and then looks out at Al Neri with that cold expression - it's really close anyway). 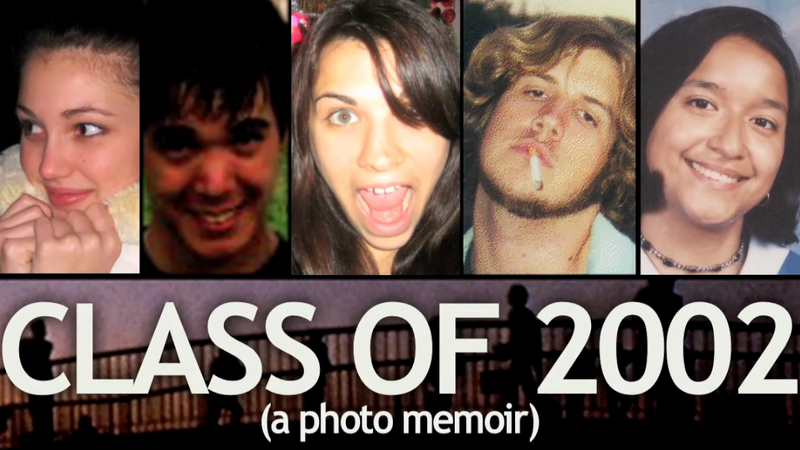 And it is the logical, tragic finale to the saga. I like the fact that it transposes the action to Sicily too. All in all, I would say Part III is underrated.